The first Sikhs to come to Oceania arrived in Australia and Fiji in the mid to late 19th and early 20th centuries. They came to both nations as labourers to work on the cane fields, although some came to Australia as cameleers, with some going to Fiji to work in the police forces. Despite their early arrival it was only in 1922 that the first Sikh gurdwara (place of worship) was built in region. The Gurdwara Sahib Samabula was located at Samabula part of the greater Suva metropolitan area in Fiji. In Australia the first gurdwara, the First Sikh Temple in Woolgoolga would be built only in 1968, the time lag due mainly to the enactment of the restrictive White Australia Policy which came into effect in 1901. As Sikhs make up only a small minority of the population of Oceania, the term 'temple' is often used in place of 'gurdwara' especially by those not in the Sikh community. 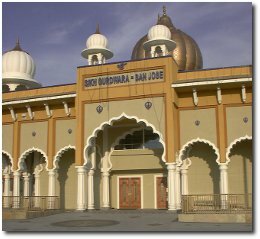 The names of the gurdwaras are usually used only for official purposes, with the Sikh congregation usually differentiating between gurdwaras using location. Oceania contains the most southern gurdwara, the Wellington Gurdwara in Porirua, Wellington, New Zealand. The architecture of gurdwaras in the region varies from magnificent domed buildings, like the Guru Nanak Sikh Temple in Woolgoolga to utilising former churches, like that of the Gurdwara Guru Nanak Darbar in Allenby Gardens, South Australia or simple rectangular buildings like the Sikh Gurdwara Newcastle in Shortland, New South Wales. There are close to 50 gurudwaras Australia, New Zealand, Fiji and Papua New Guinea which we have listed below. Guzaarish starring Hrithik Roshan and Aiswarya Rai is on the top of the charts for October. 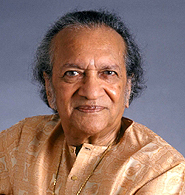 Ravi Shankar, often referred to by the title Pandit, is an Indian musician and composer who plays the plucked string instrument sitar. He has been described as the best known contemporary Indian musician by Hans Neuhoff in Musik in Geschichte und Gegenwart. 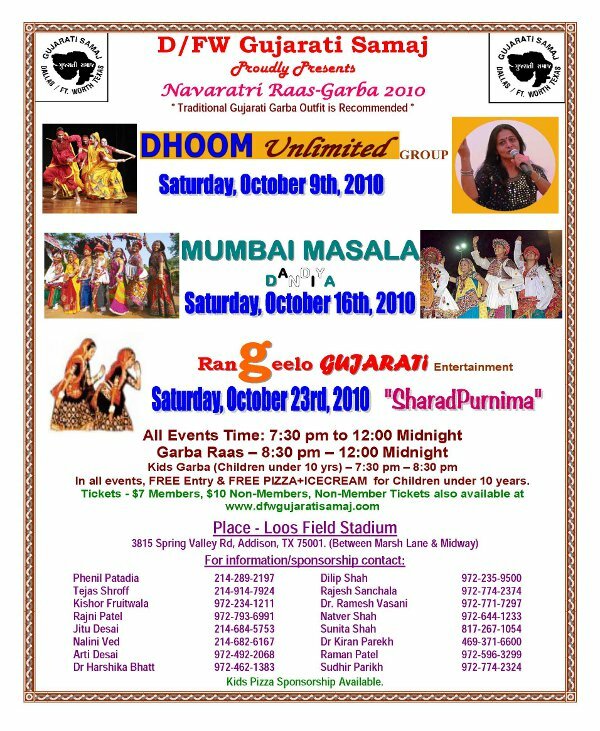 One of the biggest events organized by the DFW Gujarati Samaj every year is their Navaratri Raas Garba. This year the event will be held on the 9th and 23rd of October at the Loos Stadium. With Free Pizza for the kids and a large crowd, there is no reason to miss this one. For more details, visit the DFW Gujarati Samaj Website.